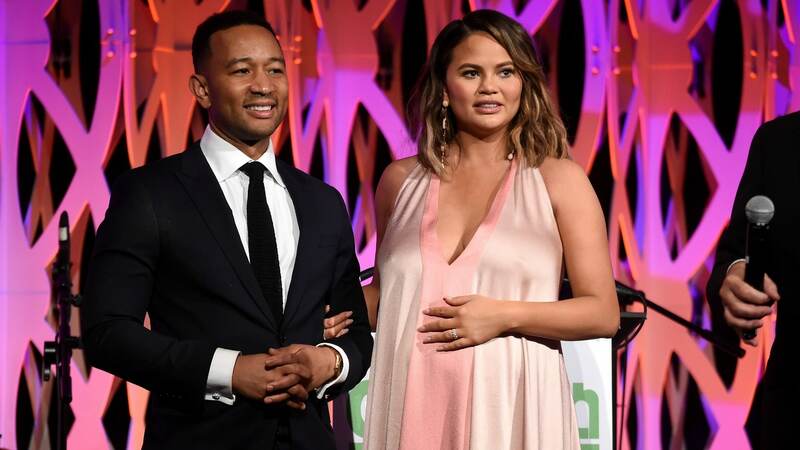 Chrissy Teigen and John Legend welcomed their second child, a boy, into the world earlier this week, but the high-profile couple didn’t reveal the new baby’s name… until now. On Sunday, Teigen officially introduced their new addition and the precious guy’s name, too. “Hello, world! This is Miles Theodore Stephens — We are drowning in his little peeps and nuzzles. Our household feels overwhelmed with love. Thank you for all your well wishes!” the overjoyed mama wrote on her Instagram page, sharing an oh-so-cute sleepy snapshot of baby Miles. Hello, world! This is Miles Theodore Stephens – We are drowning in his little peeps and nuzzles. Our household feels overwhelmed with love. Thank you for all your well wishes! Teigen first broke the news of Miles’ arrival on Thursday (the day after his birth), teasing, “Somebody’s herrrrrre!” In case that wasn’t clear enough, the model added a few bottle emojis to clarify who exactly had arrived in the Teigen-Legend household. Although right now Teigen’s whole world is understandably wrapped up in sweet baby snuggles, she has become something of an advocate for both IVF (both of her children were conceived this way) and postpartum depression, tackling each with her trademark candor. So, yeah, this fierce and forthcoming mama deserves a little downtime with her family. Best wishes to Teigen, Legend, Luna and baby Miles!